Despite my best efforts during health kick January, I still can’t shake the cravings (and resulting caving of resolve) for something cakey or chocolately during the day. Clearly evidence of a weak-willed personality but there you have it! So I’ve been on a mission to create something that will satisfy my cravings without meaning I consume half my calorific intake for the day in one sitting. 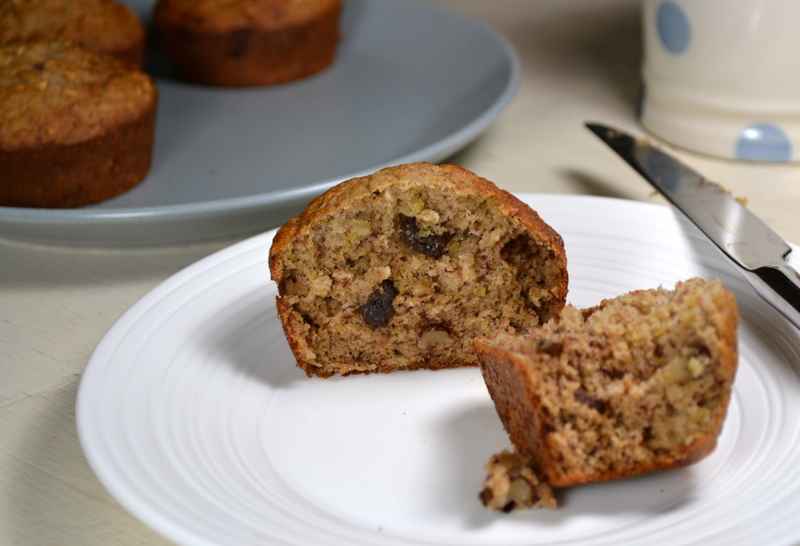 The result is my banana muffins. They’re made using rice flour (left over from making my chocolate courgette cake and it’s healthier than regular flour), honey in place of sugar, and milk in place of oil or butter. It all probably sounds a little too good to be true but the great news is that these little gems also taste really good. Admittedly they’re not on the same treat scale as a chocolate brownie or cookie, but they make a great accompaniment to my mid-morning or afternoon cup of tea, curbing those cravings for the aforementioned treats. So mission accomplished. A healthy yet still enjoyable treat for January. Happy baking! 1. 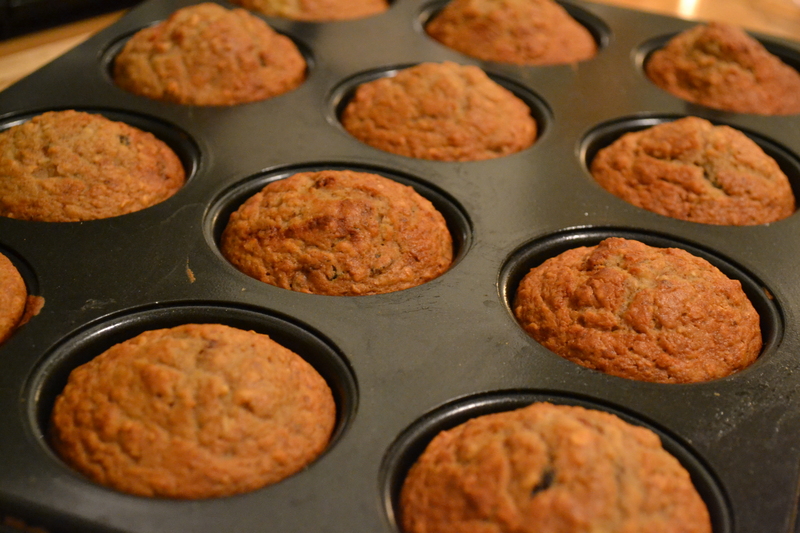 Grease a 12 hole muffin tin or line with 12 paper cases. Pre-heat the oven to 180°c /160°c fan/350°f/gas mark 4. 2. 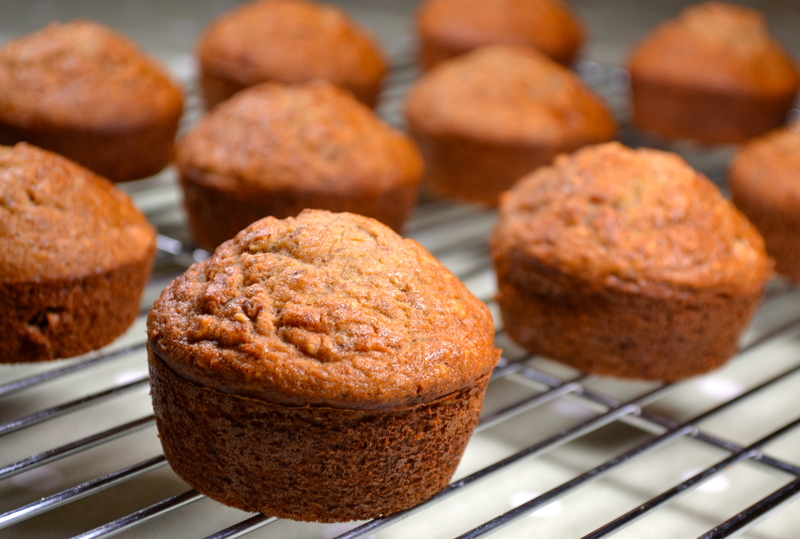 In a large bowl, mix the flour, oats, wheat bran, baking powder, bicarbonate of soda, and cinnamon together. 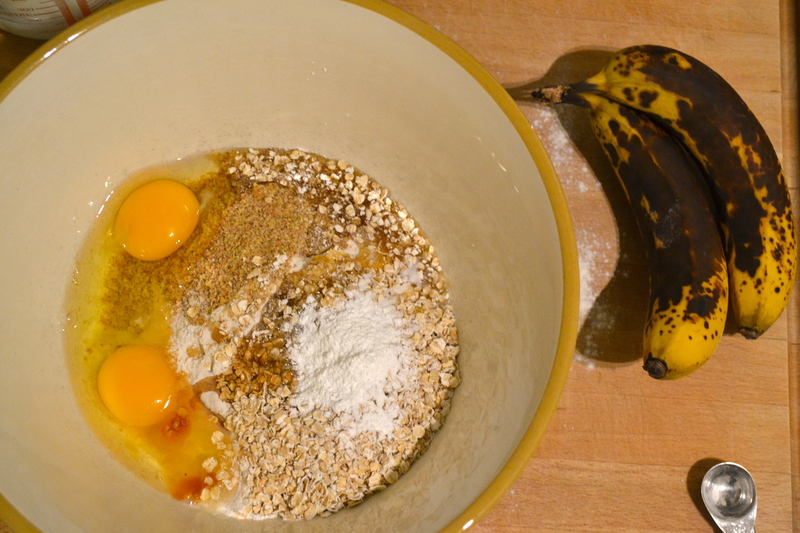 Add the vanilla essence, eggs, honey and bananas and use an electric whisk to mix everything together well. 2. Add the milk and mix thoroughly again. The mix will be very runny but don’t worry! 3. 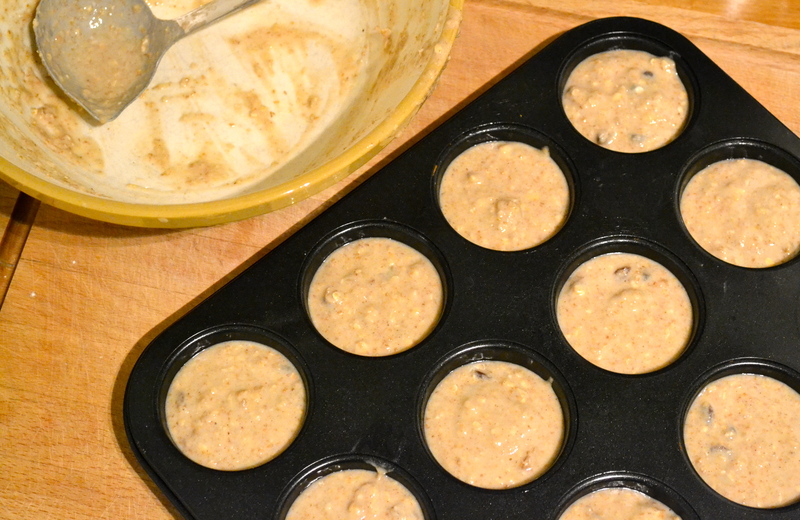 Stir through the sultanas and walnuts if using and then pour/ladle into the muffin tin. 4. Place in the centre of the oven and cook for 20 minutes until risen and golden. You can check to see if they’re cooked by inserting a skewer into the middle of one – it will come out clean if done. 5. Leave to cool in the tin for 5 minutes before turning out onto a wire rack to cool fully. I’m loving your blog, you’ve got some amazing recipes. Thanks Cookies and Roses 🙂 Glad you’re enjoying it! Mmm these look soo nice and healthy! Thanks Charisma – luckily they also taste good too!! They’re great to take into work as snacks and they also last well too if you keep them in an airtight container – this is day 4 of my batch and they still taste good and haven’t dried out. I will check out your blog now! Thanks for visiting!